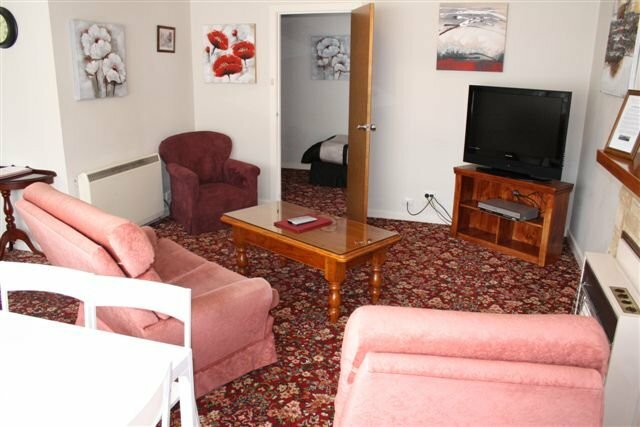 Motel Mayfair on Cavell is located only 1.5km from the GPO and within 2 kilometres of North Hobart and Salamanca. We have 24 standard, spa and apartment rooms, all with own bathrooms including bath and shower. We serve cooked and continental breakfasts to rooms and have a number of take-away or restaurants who deliver to rooms in the evening. There is also a little pub with bottleshop who serves meals and an Italian restaurant right around the corner. 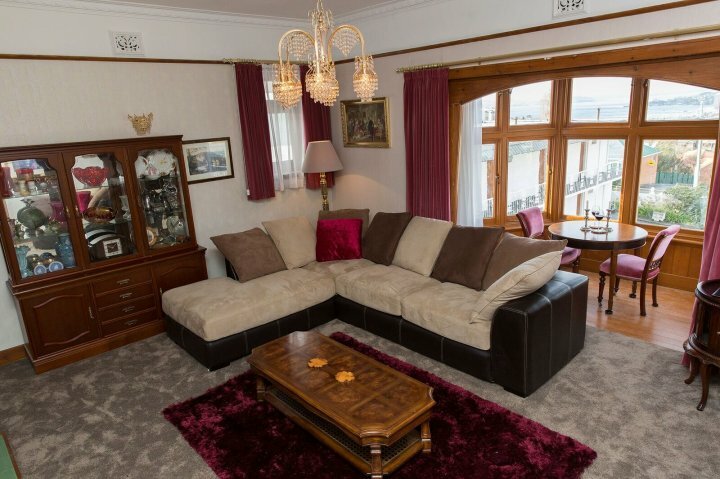 All rooms have a small fridge, tea and coffee making facilities, microwave, toaster and TV. Some rooms have kitchenettes or are fully self contained. For those with their own wireless enabled laptop wireless Broadband is available, you will need a credit card to purchase your time with. One queen bed and one single bed. 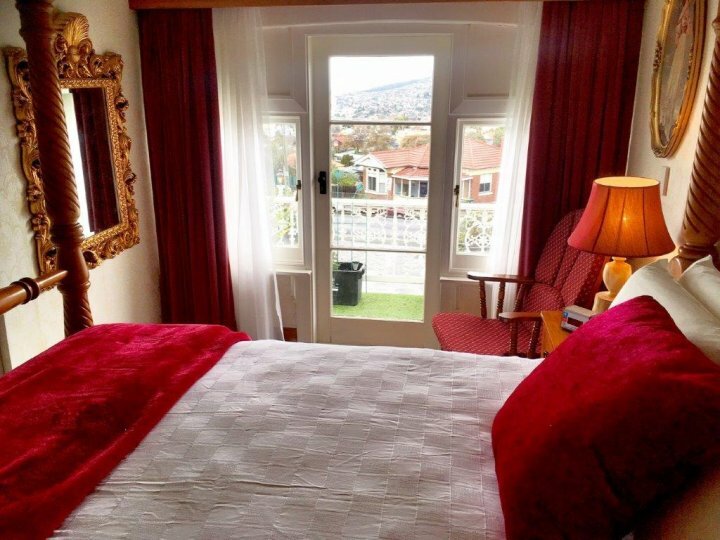 All of our rooms have baths as well a showers, tea and coffee making facilities, toaster, microwave, AUSTAR and for those with a wireless enabled laptap you can access charged wireless Broadband (external provider - you will require a credit card). There are videos in all rooms. One-bedroom Family room with one queen bed, two single bed, seating, bathroom with spa bath and shower, kitchenette (kettle, fridge, toaster, microwave and tea and coffee making facilities). Very spacious, room for an extra bed. 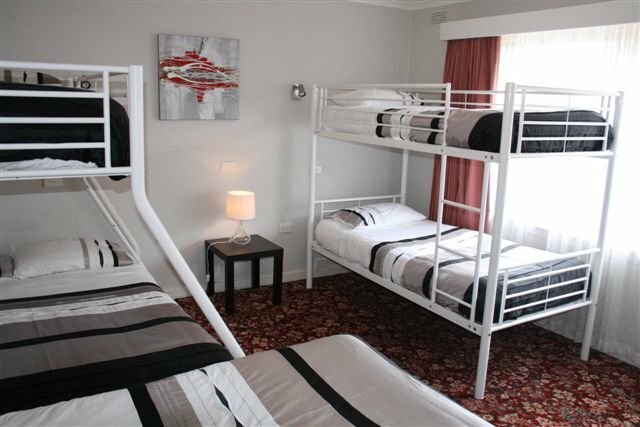 Queen bed in bedroom and three single beds. Must walk through bedroom to reach bathroom. All of our rooms have baths as well a showers, tea and coffee making facilities, toaster, microwave, AUSTAR and for those with a wireless enabled laptap you can access charged wireless Broadband (external provider - you will require a credit card). There are videos in all rooms. 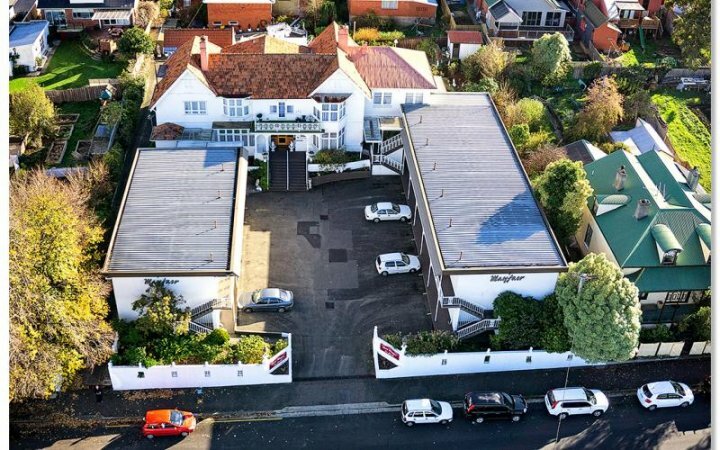 Double room containing queen bed, ensuite bathroom, kitchen facilities including microwave, toaster, tea and coffee facilities, hot plates, food warmer oven, Foxtel TV and WIFI. No bath and is up stairs. Queen bed, spa bath and separate bathroom with shower. Tea and coffee making facilities, fridge, microwave, toaster. AUSTAR TV. Why not ask for a honeymoon pack for your arrival, consisting of two embossed glasses (either champagne flutes or wine glasses), chocolates and champagen on arrival for $60. Queen bed, spa bath and shower. Tea and coffee making facilities, fridge, microwave, toaster (No stove or stove top). AUSTAR TV. Why not ask for a honeymoon pack for your arrival, consisting of two embossed glasses (either champagne flutes or wine glasses), chocolates and champagen on arrival for $60. 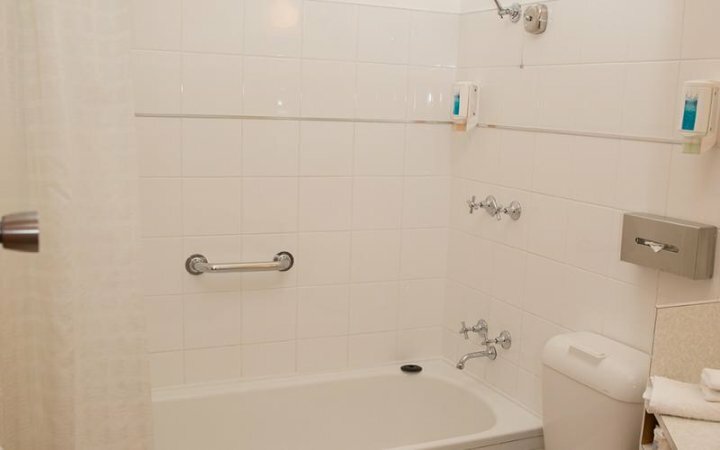 All of our rooms have baths as well a showers, tea and coffee making facilities, toaster, microwave, AUSTAR and for those with a wireless enabled laptap you can access charged wireless Broadband (external provider - you will require a credit card). There are videos in all rooms. 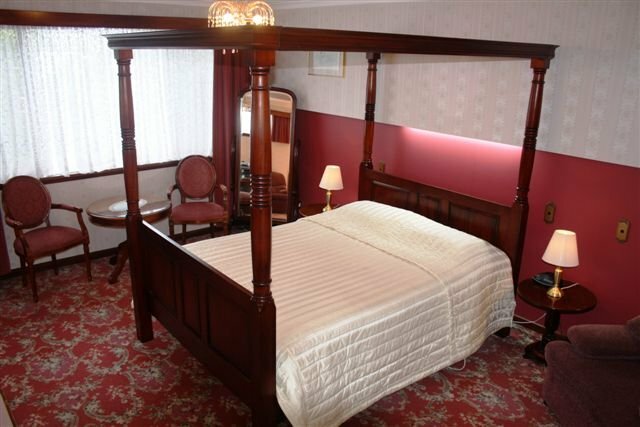 The Derwent Room has one queen bed in one bedroom and a queen and a single bed in the second bedroom plus another single bed in the lounge. It has a bath as well as a shower, tea and coffee making facilities, toaster, microwave, stove and stove top. Fully self contained AUSTAR and for those with a wireless enabled laptap you can access charged wireless Broadband (external provider - you will require a credit card). There are videos in all rooms. The Wellington Room has one queen bed in one bedroom and two single beds in the second bedroom plus another single bed in an alcove area. It has a bath as well as a shower, tea and coffee making facilities, toaster, microwave, stove and stove top. Fully self contained. Can add more beds upon request AUSTAR and for those with a wireless enabled laptap you can access charged wireless Broadband (external provider - you will require a credit card). There are videos in all rooms. Wireless Broadband internet access (simply bring your wireless-enabled notebook computer. This service is provided FREE! Off Street parking for all guests. 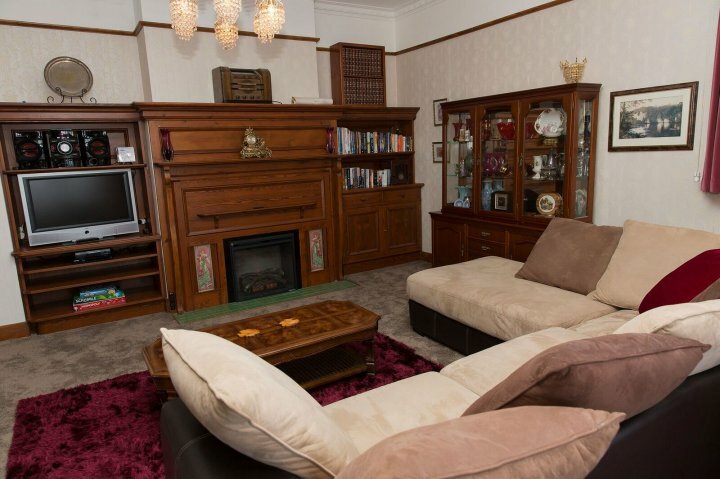 Motel Mayfair on Cavell is centrally located just 1.5 kilometres from the Hobart central business district. This walk can be completed comfortably in 10 - 15 minutes. A wealth of local taxi services provide reliable and prompt service 24 hours a day. Local and regular public transport, in the form of buses, travels past the front gate. 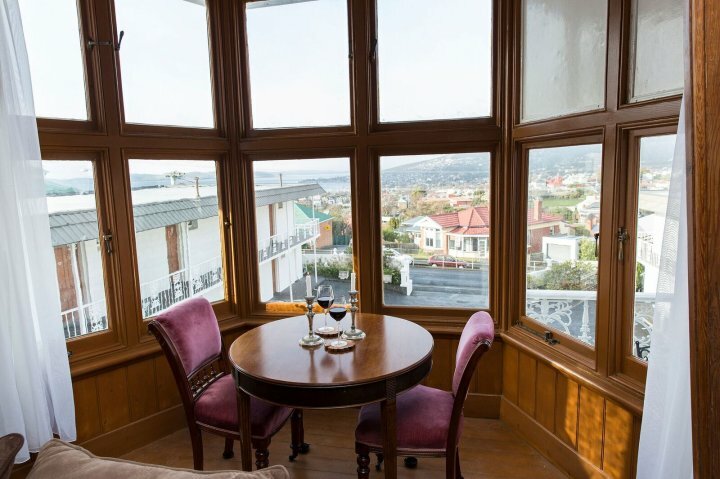 A post office, newsagency, local pub and bottle shop are literally just around the corner accompanied by an Italian restaurant, but you will also find a large selection of restaurants between the city and North Hobart, only a short taxi ride away. 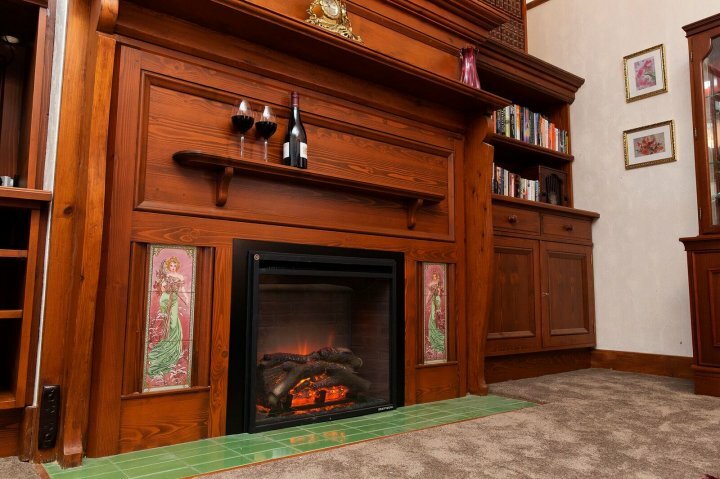 Even the world-famous Salamanca Place and Sullivans Cove waterfront eateries are only minutes away. 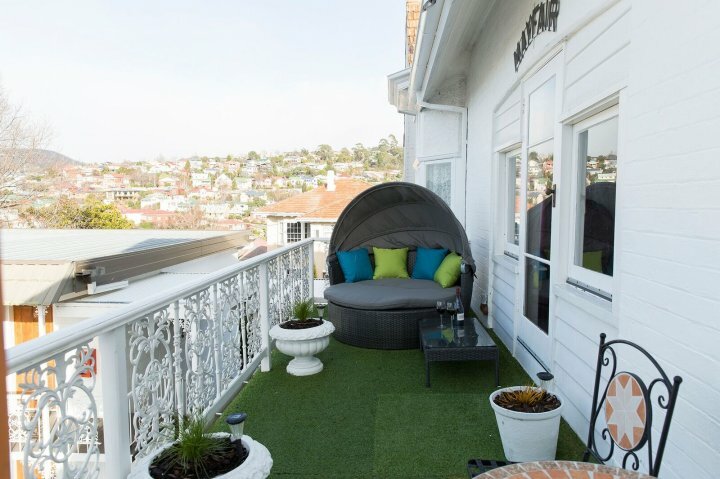 Why not try one of several playgrounds and free public bar-b-ques in West Hobart and beyond, or go shopping You are so close to everything in Hobart. Hobart city within 1km. Clarence and Glenorchy cities within 5km. Town of Richmond about 20 minutes drive. Mount Wellington summit - 21 km. Port Arthur - approx 100km or 90 minutes drive. Huon Valley or Channel regions - 30 mins. 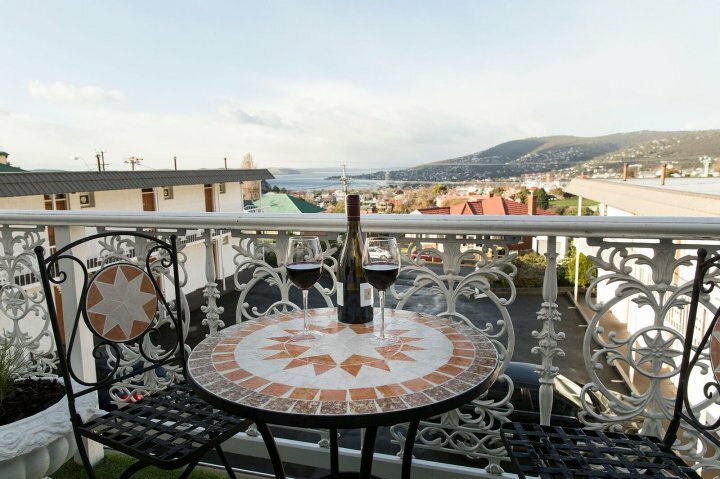 Close to Hobart Aquatic Centre, Wrest Point Casino and Hobart waterfront.